Seth Curry is focused, excited, and ready to go. Entering his first NBA training camp, Curry is 100% healthy, and he’s ready to contribute to the Golden State Warriors. The rivalry between the San Francisco Giants and the Los Angeles Dodgers is one of the greatest rivalries in all of sports. I came out of the womb as a Giants fan, so, from a young age, I’ve strongly disliked the Dodgers. Over the years, I’ve seen the good, the bad, and the ugly that comes with a rivalry like this. This season’s rivalry with the Dodgers was bound to be a competitive one. 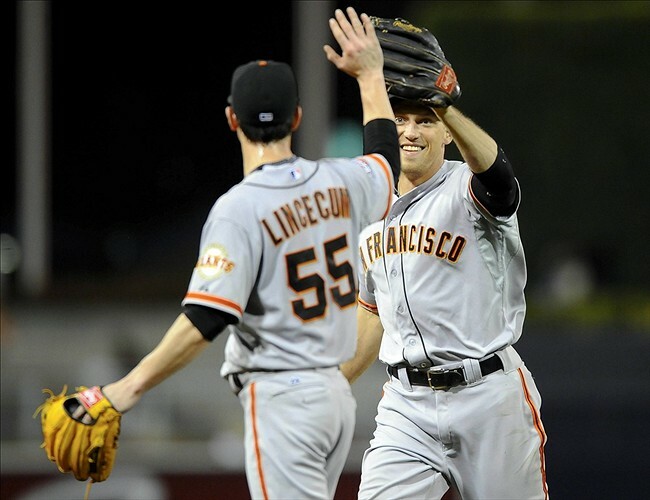 The Giants entered this season having won two World Series titles in the past three years. Meanwhile, the Dodgers were off spending tons of money of any remotely talented player they could find, because that’s the only way they could try to win a World Series title. They couldn’t compete with the Giants’ chemistry, so they had to use their checkbook instead. Before this season started, Brandon Belt was asked about the Dodgers’ big spending, and he responded in a way that caused a little bit of controversy. 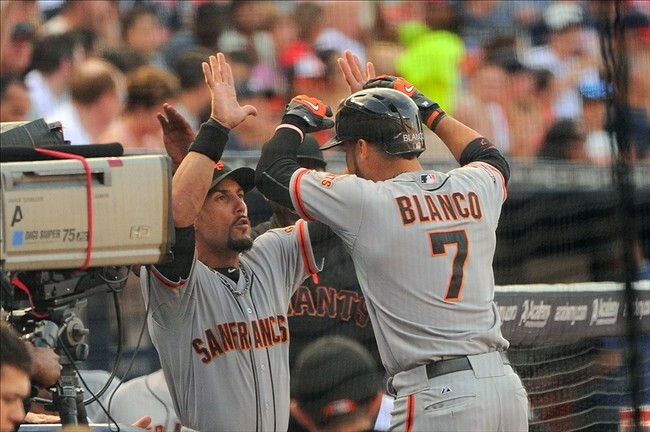 “All I can say is, you can’t buy chemistry,” Belt said. 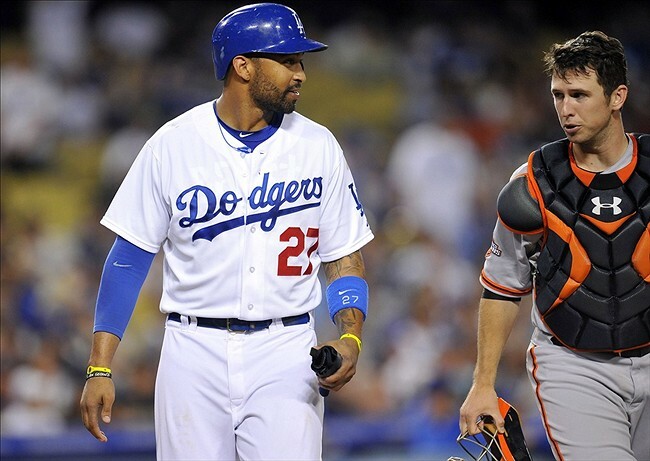 Matt Kemp of the Dodgers responded to Belt’s comments and fueled the rivalry even more. This back-and-forth banter was actually quite ironic because the Giants have had a poor season, and the Dodgers won the NL West. It’s also ironic that the thing that made the Giants so successful these past few years and what Belt was referring to was one of the reasons why they struggled this year. Besides fatigue, the Giants struggled this year because of their chemistry. They play for each other, and when one of them started struggling, others started struggling. Then when it became a team-wide slump, every single player wanted to be the one with the big hit with runners in scoring position, the one to make the big defensive play, or the one with a strong pitching performance that would turn things around for the team. Unfortunately, that never happened. The Dodgers won the NL West not because of team chemistry, but because they have the largest payroll in MLB. They have the same philosophy that the New York Yankees and Miami Heat have. All of these teams spend the big bucks to get superstars or whatever big-name players are available, because they believe that it will lead to championships. Although this philosophy works at times, it’s not the respectable way to win. The Giants won because of their team chemistry. That’s the right way to win. Not only do the teams have different philosophies, they play different styles. The Giants play as a team and for the love of the game, and the Dodgers play for the spotlight and the fame. 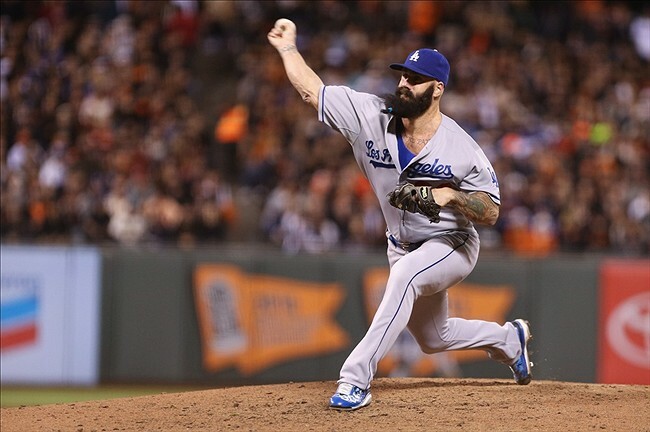 For example, they signed Brian Wilson, who’s the poster boy for chasing fame. Many Giants fans were crushed when news broke out that he had signed with the Dodgers. However, he’s not worth mourning over. Yes, he was a big part of the 2010 World Series team, but that’s in the past. He needs to be forgotten. The Giants don’t need that egocentric maniac. To add even more fuel to the fire, when the Dodgers clinched the NL West at Chase Field, they decided to jump into the pool out in center field to “claim their territory” or for some other dumb reason. Thankfully, the fans had already left, so there weren’t any witnesses…besides several camera crews. They knew that this incident would be played on SportsCenter and other sports shows, and this gesture showed who they really are. The Dodgers always want to be the center of attention. They’re a bunch of drama queens who feel entitled to fame. Just look at Yasiel Puig and all his drama and theatrics. That’s also exactly why Wilson immediately fit in. At the end of the day, this incident isn’t really that significant. However, it was disrespectful, and it proved how cocky and arrogant the Dodgers really are. Again, this just shows a different team philosophy. The Dodgers deserved to win the NL West, because even if it’s painfully obvious to say if your a Giants fan, they were the best team in the division. The Giants dealt with injuries and struggled all season, the San Diego Padres played like the Padres normally do, the Colorado Rockies started off strong but faded, and the Arizona Diamondbacks were never better than just mediocre. With that being said, that doesn’t mean the Dodgers will win the World Series this year. They don’t play like a World Series team, and there are other teams in the National League that have more experience and are more suited for a championship run, like the St. Louis Cardinals, for example. This also doesn’t mean that the Dodgers will win the NL West next year. The Padres certainly won’t be in contention, because they are still in re-building mode. The Rockies are so dependent on everyone being healthy, but their star players, such as Troy Tulowitzki and Carlos Gonzalez, are injury-prone. The Diamondbacks could contend for the NL West title but most likely won’t win. Next season’s NL West title will come down to the Giants and Dodgers. The rivalry will be better than ever, because both teams will have something to prove. The Dodgers will want to show why they’re reigning NL West champions. The Giants will want to prove that their World Series titles weren’t flukes, and that they are prepared to get back to the playoffs and win another World Series. The Dodgers might have won the NL West this year, but I’m just going to sit here and enjoy my team’s two World Series titles in the past three years. The Currys are all about family. Dell Curry even said it himself. At the State Farm Dell and Stephen Curry Parent/Child Basketball ProCamp this weekend, Dell told all the participants that family is the most important thing to the Currys. Anyone in attendance could see the camp’s focus on family bonding, not just basketball. 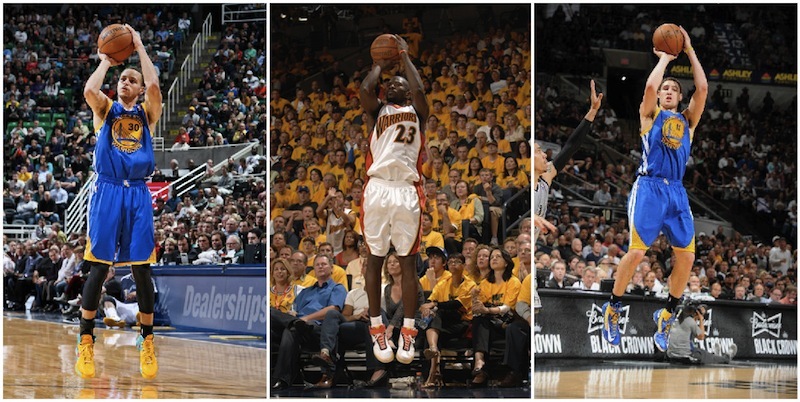 The three-point shot has changed the game of basketball. Not only has it changed many offensive schemes for teams, but it has also changed the roles of certain players. 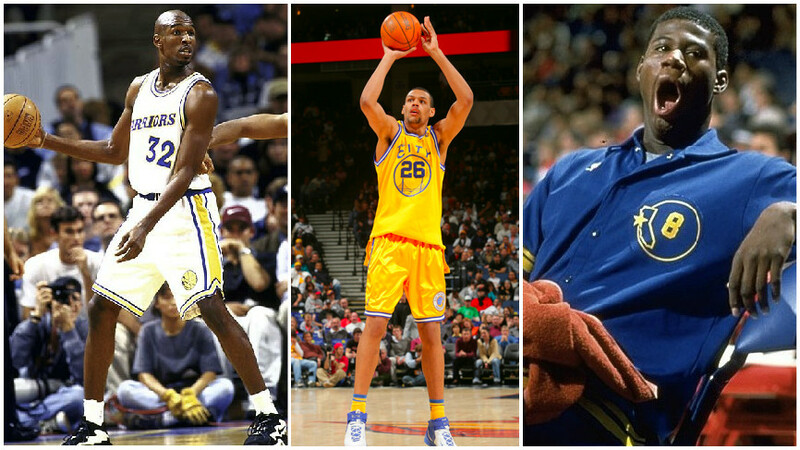 After examining the best draft picks in Golden State Warriors history, it’s time to look at some of the worst draft picks.